Henk Neven studied at the Conservatory of Amsterdam, where he graduated in 2003. In 2009 he joined the prestigious Radio 3 New Generation Artists Scheme and recently won the coveted Dutch National Music Prize, the most prestigious musical award in the Netherlands. 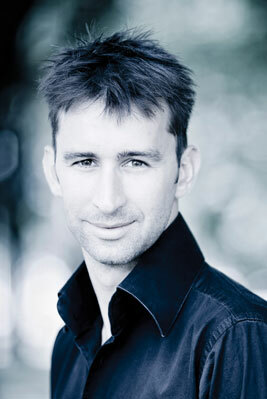 In addition to lieder and oratorio, Henk has sung in many operas, performing such roles as Marco (Gianni Schicchi), Don Alfonso (Così fan tutte), Don Giovanni and Leporello (Don Giovanni), Count (Le nozze di Figaro), Aeneas (Dido and Aeneas), Schaunard (La bohème, all Dijon), Pollux (Castor et Pollux) and Frere Leon (St François d’Assise, all with the Netherlands Opera), Capriccio (Opera National de Paris) and Morales (Carmen, with Daniel Barenboim and the Staatsoper Berlin). Henk Neven has worked with well-known ensembles such as the Orchestra of the Beethovenhalle, Bonn, the Rotterdam Philharmonic Orchestra, the Radio Kamer Filharmonie, the Vlaams Radio Orkest, the Orchestre National de France, Orchestre d’Opera National de Paris, Staatskapelle Berlin, the Ensemble Orchestral de Paris and Les Talens Lyriques. He has worked with conductors such as Edo de Waart, Jaap van Zweden, Emanuel Krivine, Kenneth Montgomery, Patrick Lange, Paulo Olmi, John Nelson and Christophe Rousset. Recent engagements include Leporello at De Doelen, Rotterdam, Patrocle (Iphigénie en Aulide) at La Monnaie, Ottokar (Der Freischütz) at the Theater an der Wien, and recital debuts at the City of London Festival, Cheltenham Festival and the BBC Proms. Highlights of the 2010/11 season include Mercutio (Roméo et Juliette) at De Nederlandse Opera, his Wigmore Hall debut and recitals at the Concertgebouw, La Monnaie and the Beurs van Berlage, Amsterdam.